Divorce in general is hard. 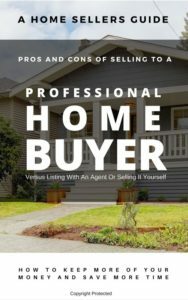 Selling a house is part of the process sometimes, and this could be a difficult situation as well. If you don’t want to wait for your home to sit on the market for months, call us now so we can get you a cash offer, so you can move on with your life. If you need to sell your home quickly because of a divorce, Win Win Home Buyers can ensure a quick close and a fair cash offer that satisfies both parties. We work with plenty professionals that deal with this such as attorneys, banks, professional title companies, and we will help you through this one step at a time. Let’s get a cash offer in your hand so you can have a new beginning to the start of a new found happiness.